"The Bayswater Hotel boasts panoramic views of Fraser Island and Urangan Pier, a large deck for alfresco dining and is at the hub of Hervey Bay's thriving social scene. Unique live entertainment, quality food, a safe & relaxed environment and the gorgeous view provides Bayswater patrons with a truly unique hotel experience." "Experience the thrill of a live poker game @ Poker Mania and you could win great prizes. Beginners are encouraged to join. It won't take long for you to pick up the game and get hooked on the excitement. Meet new friends and have a great night out!" Poker Mania - Not just a game.....it's an experience! "Which Training is Australia's new course and training opportunities search. Whether you wish to gain a new skill or require a qualification or licence, for personal or work related reasons or just participate in a class or workshop for personal fulfilment, Which Training will have the solution." "Some 3 hours drive north of Brisbane (the capital City of Queensland), Maryborough, with a population of 26,000 is the dominant commercial centre for the surrounding local government areas of Woocoo; Tiaro and Hervey Bay." "Tourism Queensland is the most progressive destination management organisation in Australia and offers career opportunities across a wide range of employment areas." "Official site of the Fraser Coast South Burnett Regional Tourism Board. A comprehensive guide to travel and tourism for the Fraser Coast region of Queensland, Australia. Includes destinations, events, attractions, accommodation, tours, and other general information." 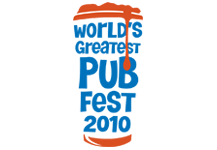 "The original Guinness World Record for the largest pub crawl was set in Maryborough (population 26,000), Queensland, Australia, in June 2005 with 1198 participants. The Heritage City broke its own record in June 2006 with 2237 people visiting 17 pubs in six hours. In October, London (population 7.5 million) broke our record by just 41 people." "Join 'Captain Denis' and his crew aboard 'The Mary' for a relaxing cruise from the historic Port of Maryborough along the Mary River. The tour gives an insight into the industrial story of this historic Queensland port, as well as the prominent people who built their stately homes along the river banks." "Check out Maryborough's entertainment destinations. See what's on this week. Live gigs, DJ's, promos, great photos and all the goss!" * All descriptions and logos above are excerpts from the corresponding websites and are copyright by their respective onwers and websites.